​I'd wager the vast majority of men who work in some sort of professional field use a version of one for their daily carry. For me, that's five days out of the week and in order to keep things fresh, I rotate between three different ones to complement whatever color of leather I'm going with. 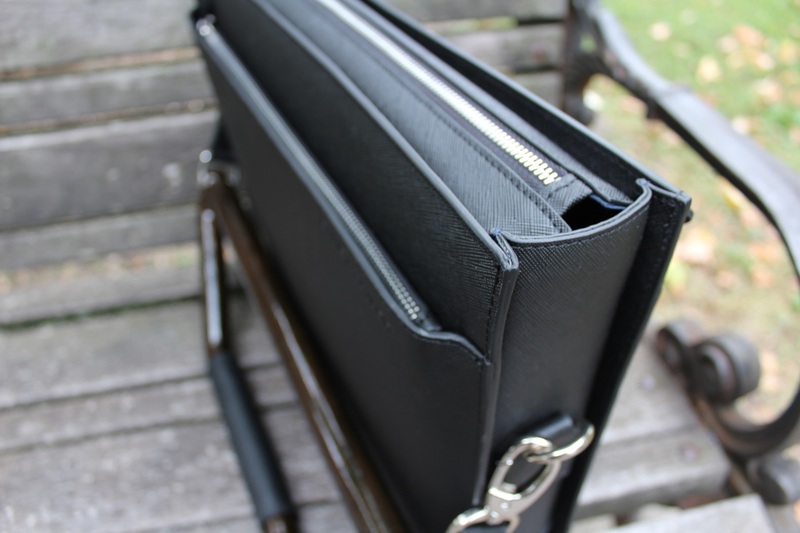 While some folks may consider a briefcase an accessory, for many of us it's a necessity and as with most necessities, there inevitably are a range of options and designs available. Yet, despite the plethora of options out there, it's been a while since I've come across a briefcase that made me take a second look because of the uniqueness of the concept. Out of the box, the briefcase feels solid. Seems to be built in such a way that you can sit it down without worrying about it falling over. 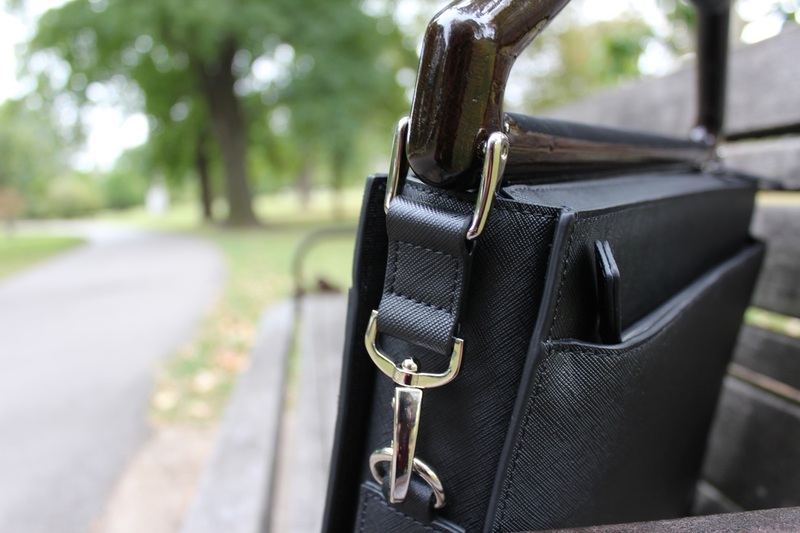 I received the Signature briefcase with the Madison black handle crafted from American white oak. According to Elliot Taylor, each handle is cut from a single piece of wood. Even though its called black, the stain used on the briefcase I received has some dark brown tones to it that I feel will make it more versatile. Along with the wood handle also comes an adjustable leather strap for shoulder carry. 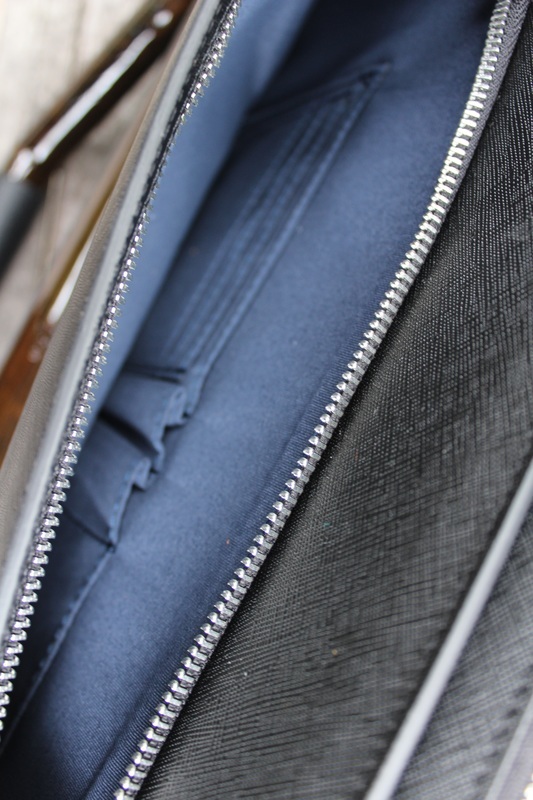 The inside of the briefcase in lined in what appears to be in a navy cotton fabric. 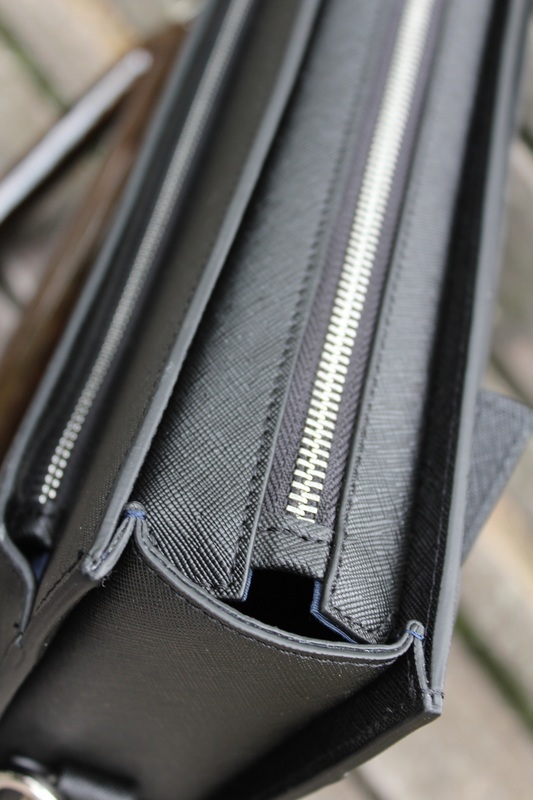 There are outside zip pockets on both sides of the briefcase with a center zip for the main compartment which also has two zip pockets on the inside. The outside zip pockets have multi-functional pockets/areas for business cards, pens etc on both sides. The outside zip pockets expand just a bit at the top which I think helps the leather maintain its shape against the outline of pens inside. Elliot Taylor uses strong YKK zippers and that strength seems to flow through to the rest of the hardware such as the clips for the handle and strap as well as the bottom pieces. The one thing I'm undecided on is the brand name which is embossed in the leather on one side of the briefcase. This is more a personal preference thing than anything else. However because it is embossed, its not in your face and therefore nowhere as annoying as say a steel name plate would have been. Size-wise, it's just right for a macbook and a few documents with a height of 11.5 centimeters, a width of 2.8 centimeters and a length of 15.5 centimeters. Check out Elliot Taylor here. Enter the Elliot Taylor signature briefcase. When the introductory email first landed in my mailbox, I had to blow up the picture to make sure I got what I was looking at. At first glance, it just looked like a briefcase with a rigid handle that the guy slid his jacket through. While I couldn't do that with any of the briefcases I had without wrinkling the crap out of them, I still thought "what's the big deal?" Then I realized that the handle was designed just for that purpose with a slide-resistant grip to hold the jacket when placed through the handle. I literally leaned back in my seat and smiled. It's one of those ideas thats so simple, so intuitive that you can't help but wonder why no one has executed this before. Or maybe they have and I just haven't heard of or seen it. To get to work, I drive. Often I take my jacket off so it doesn't get mussed around by my seat belt and put it on when I walk into the office. Similar at the end of the day when I leave, ride down the elevator and walk into the garage. I'm holding my jacket in my hand. Not an earth-shaking difference to most to be able to slide that jacket over the handle of the briefcase that I'm already carrying , but one that is intuitive enough to add value to me. Now imagine if you live in New York, where Elliot Taylor is based or Chicago and have a significant commute by subway or walking....this thing would come in handy tremendously especially during those hot, muggy summer days. 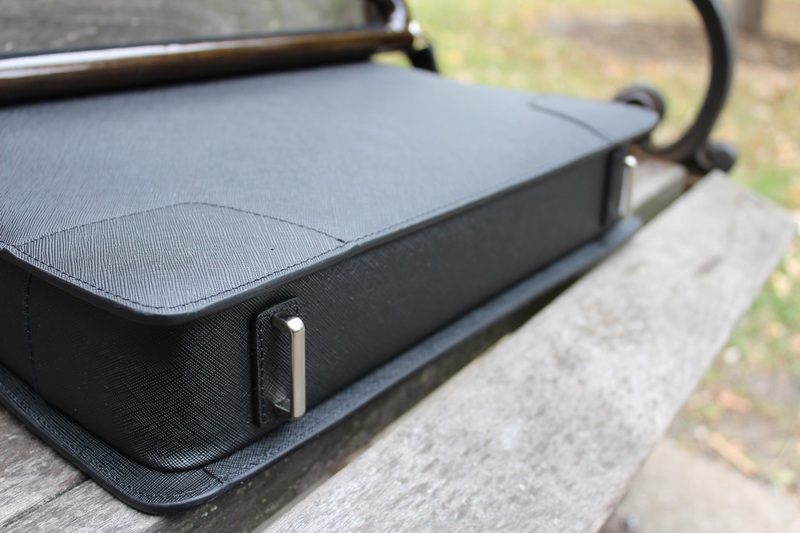 Clearly, this briefcase gets a thumbs up from me from a concept standpoint. 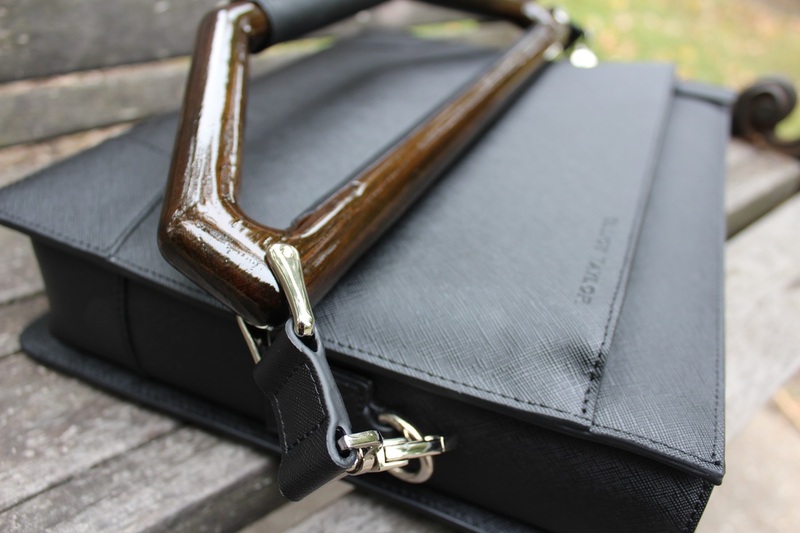 The Elliot Taylor Signature Briefcase comes with a $249 price tag, which I think is spot on especially in light of the trademarked 'VALET handle'. It's a piece that is not only unique enough to spark conversation but also functional which is hard to beat. Inevitably, only time will tell how the briefcase will hold up to use, but considering that it was tested by folks commuting on the New York subway, I'm expecting it will do just fine with how I use my things.